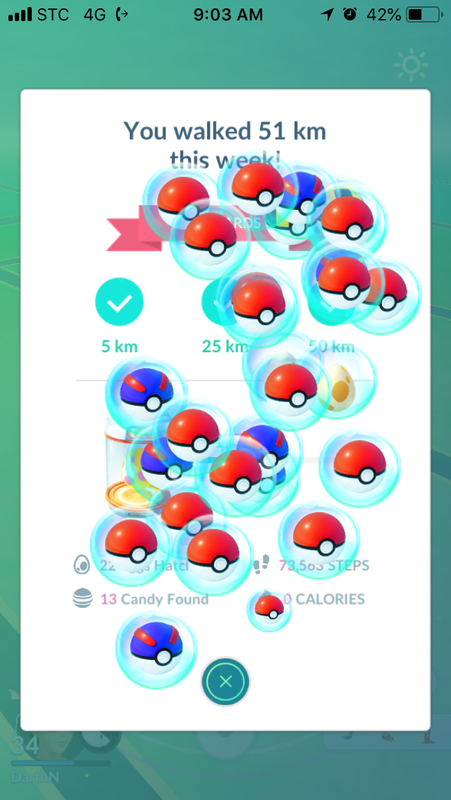 I got home from work last night with only 47.2km registered on my Pokemon Go Adventure Sync Weekly Tracker so I put on my walking gear and walked outside until I had enough kilometer distance to fill the gap. Not to mention, I put all seven 7km eggs into the blue incubators to leave some space should I be so lucky to get a 10km egg from the reward. 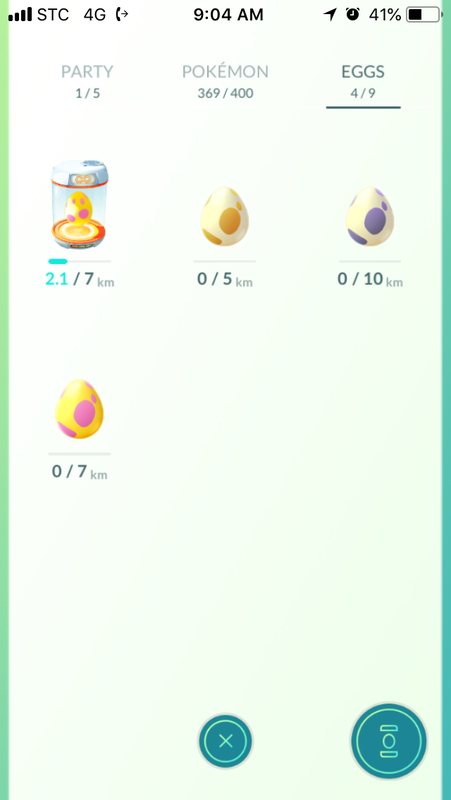 A few minutes past 9:00 a.m. local time, I opened the Pokemon GO app to see my rewards and, guess what, I got not only a 10km egg but a 5km one, too.